Dan, age 33, woke up one late summer Saturday in Fresno, California with pain in his left buttock. Dan is tall, good-looking, and dresses neatly in long shorts, with white socks pulled up, stark white sneakers, and a stylish trucker hat. He has a stoic face and from looking at him I didn’t guess that he was in pain, or that he had an IV drug habit. On the previous Tuesday he’d gone to the jail on a warrant but when the jail’s nurse saw the red abscess—the cause of the pain—she instructed the wardens to release him and give him a ticket instead. On Wednesday, Thursday, and Friday the infection continued to grow bigger and redder. Although he has health insurance, and was going to a methadone clinic daily, Dan did not go to the ER. A 2004 study found that Fresno had the highest rate of IV drug use in the country—more than New York or Miami—and nearly three times the national average. Last year, just after the deputy police chief was caught trafficking in opiates in a federal sting, the District Attorney announced that Fresno’s drug problem was getting worse, with heroin available at every high school. The secondary impacts of widespread IV drug use are reflected in high rates of HIV, AIDS, and a current syphilis outbreak. 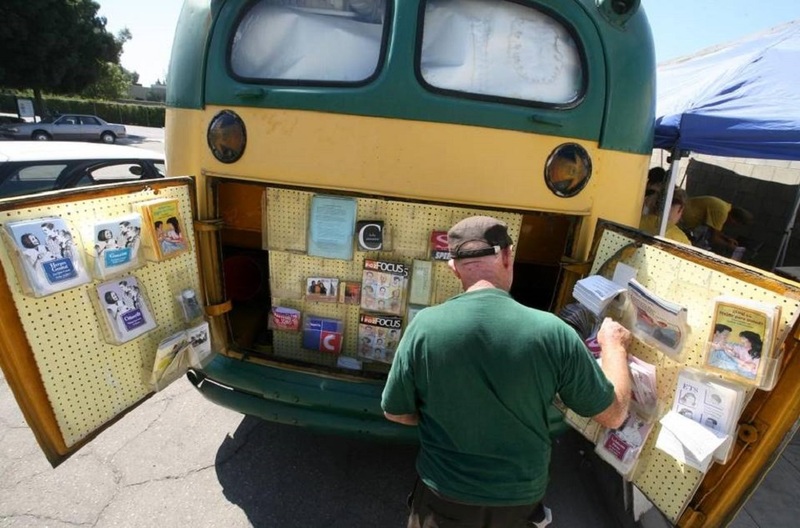 The Fresno Free Medical Clinic bus. Lesser known is the problem of abscesses, which for IV drug users are a slow-motion car crash. Once users start injecting drugs, abscesses can become part of their lives, with sometimes fatal consequences if they’re not treated promptly. Caused by bacteria or fungi from skin, needles, or adulterated drugs, these infections are most likely to affect longer-term users, like Dan, who can no longer access veins and instead inject under the skin or deep into their muscles. Abscesses are difficult to treat because they are resistant to antibiotics, and they seem to affect 22 to 65 percent of IV users. While other cities have taken steps to reduce the harm of IV drugs—by allowing users to buy needles at pharmacies, and operating targeted public health clinics—Fresno’s pharmacies do not sell needles. So local users rely on a web of stalwart volunteers at the Fresno Needle Exchange and the associated clinic. It was this volunteer system to which Dan turned to deal with his infection. 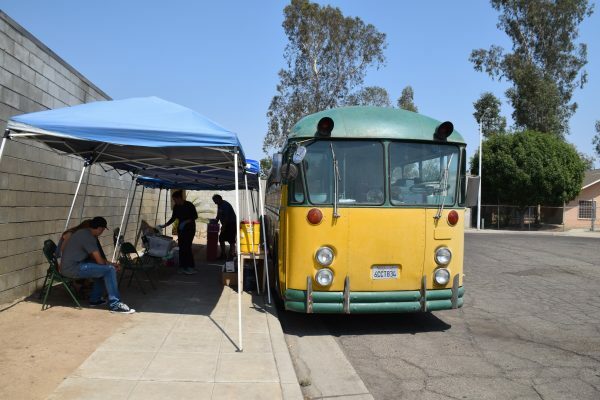 On Saturday afternoon he went to the Fresno Free Medical Clinic, which is held for two hours a week in a yellow and green 1963 school bus parked in a cul-de-sac next to the needle exchange. Pre-med student Shahram Aghaei fills a syringe with anesthetic. For the past 21 years, the clinic has been staffed by Dr. Marc Lasher, a wiry man with a Brooklyn accent, a collection of well-worn Groucho Marxisms, and a large supply of disposable scalpels. Joining him was Shahram Aghaei, a pre-med graduate of Fresno State, in safety glasses and latex gloves. They have the treatment of abscesses down to a routine—part surgery, part comedy sketch, part opportunity to talk users into treatment for their addiction. The temperature outside was 113 degrees; the temperature inside was well upwards of that. My notes were rumpled by my falling sweat. Still, there was a level of comfort inside the bus that spoke to the discomfort of life outside of it. Dr. Lasher took a look at the abscess, which was bright red and about the size of a tangerine, offered a few corny jokes, and said he’d need to open it up to drain it. Dan looked relieved. The infection was so large that his hip had begun to ache. I asked him why he hadn’t gone to the ER and he said that they’re not as good at the procedure as Dr. Lasher. Dan said he’d been using heroin for 13 years and though he was on methadone, the dose wasn’t high enough to keep him from feeling sick by evening, so he was injecting more. Dr. Lasher wiped his sweating forehead and put on a mask and gloves while Aghaei disinfected the skin near the abscess. The doctor injected a local anesthetic and—keeping up the Groucho Marx act—picked up the scalpel, said “now this won’t hurt me a bit,” and made an incision longer than an inch. Dan remained stoic, tipped over on his side on the bus seat, while the doctor extracted an enormous amount of pus from the abscess, perhaps equivalent to a cup, and showed it to him in a small surgical tray. “This could have killed you,” he said. Dan agreed, adding that it also smelled bad. Lasher squirted the cavity with saline rinse. Outside the bus, someone yelled, “God bless you Dr. Lasher! You’ve saved a lot of lives.” “Thanks, Laurie,” he yelled back. 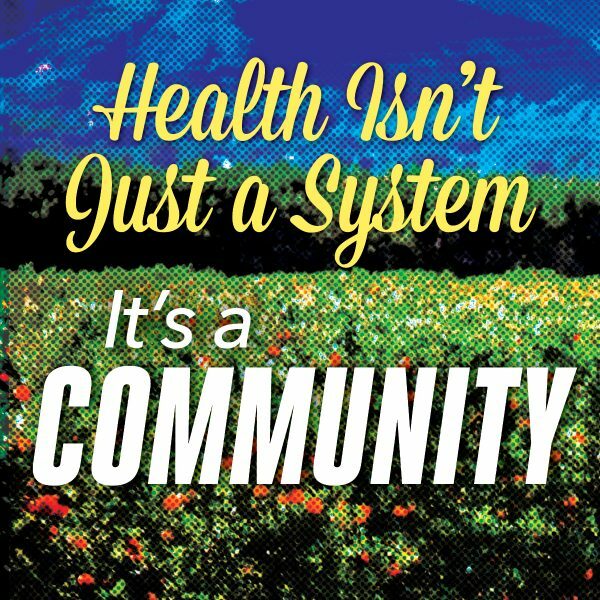 Lasher knows the community by voice alone. Every Saturday he treats between two and five abscesses, depending on what’s adulterated the street drugs that week. Recently, West Coast users of black tar heroin have been getting twice as many abscesses as East Coasters, who use a product from elsewhere. When IV drug users go to ERs for treatment, the costs—and the toll—can be considerable. Over the course of a year, a single hospital in Miami spent $11.75 million treating 349 IV drug users, 17 of whom died. Like Dan, many IV users delay going to the ER until their infections are advanced. There’s stigma: Some say that ER workers call them GOMERS, or Get Out of My ER. There are also unpredictable waiting times, inexperienced personnel, and potential expense. In San Francisco, an independent clinic focused on treatment for abscesses saved the city $8.75 million in its first year of operation. Dr. Lasher’s clinic survives on goodwill and the occasional $5,000 donation to cover two years of supplies. It’s probably saving the city of Fresno (not to mention the clinic at the jail) a lot of money. But for Lasher, the tip of his scalpel serves a mission of humanity and social justice. 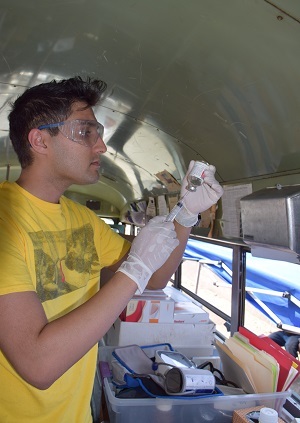 For Shahram Aghaei, the pre-med student who was assisting, working in the bus clinic is a chance to get medical experience that he couldn’t get elsewhere, but it’s also been an education in empathy. In his previous work in hospitals “there was always a divide between me and the population. There was never an opportunity to connect with patients and get to know them as real people.” Here, in the heat of the bus he gets to see the whole human story: The fragility of our bodies and spirits; the importance of kindness. 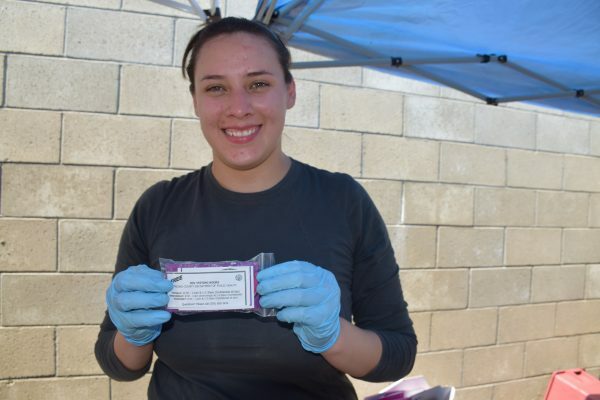 Catalina Bautista is an employee at the Fresno County Department of Public Health. She started volunteering after she helped a reporter get in touch with the exchange and read the article. The packets of condoms contain information about HIV, HEPC, and syphilis testing as well as a suicide hotline number. 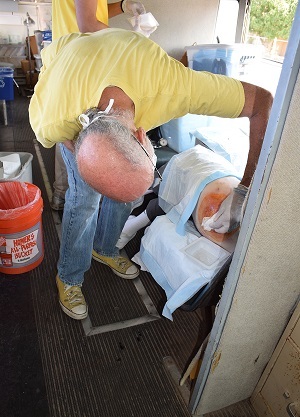 While Dr. Lasher worked in the bus, a team of three volunteers ran the needle exchange under awnings next door. A wide, uncategorizable assortment of Fresno’s citizens dumped their used needles on a sturdy steel hopper, watched them get tipped into a biohazard container, and retrieved new needles. And if they wanted them, they grabbed alcohol swabs, cotton balls, sterile cookers, and packets of condoms with instructions from the health department for HIV and syphilis testing, along with a suicide hotline number. 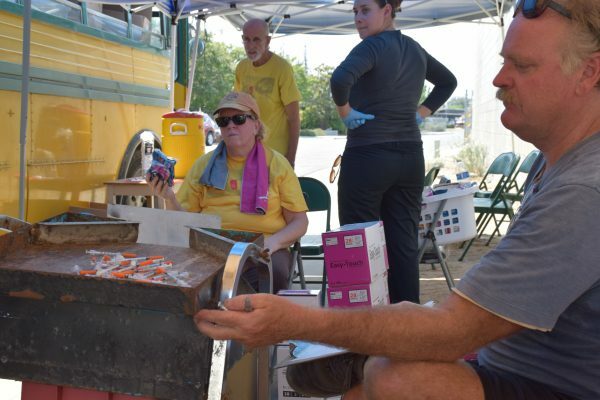 The exchange is on track to collect 900,000 syringes this year, while serving about 13,000 people, according to Dallas Blanchard, who has volunteered to direct the exchange for two decades. Needle exchange volunteer Dallas Blanchard fills his truck with syringes and biohazard containers every Saturday. He’s been running the needle exchange for 21 years. He left the bus and another person took his place in the seat across from Dr. Lasher. Lisa Margonelli writes the Small Science column for Zócalo Public Square, where she is the science and humanities editor. *Lead pohoto courtesy Fresno Bee. All interior photos by Lisa Margonelli.